Best team moment: Overcoming liverpool after being 2-0 down. awesome to win 3-2.
just a question, what other decent managers are free at the moment. the only one that springs to mind is zidane! just feel hughes is not the right guy. This is the question nobody ever seems to think about when talking about firing a manager! Can't think of many either to be honest. Allardyce and Moyes spring to mind, but I don't find either of them particularly inspiring. Forget Allardyce and Moyes, they must surely be done at the top level. The club should be looking for a Poch Mk II. Take a risk on fresh ideas. I'd heard that we were in with a shout of landing Bielsa. If that's true, why didn't we get him? I can only imagine the board thought he was too much of a risk. It's frustrating to see managers like Wagner, Espirito Santo, Gracia coming into the Prem and playing interesting football and getting results (you know, like we used to) while we pay a dinosaur a fortune to bore the rubbish out of us. I don't care who it is or where he comes from, I want an inspiring manager with a bit of fire in his belly, someone who can make the squad play as more than the sum of its parts, not less. maybe Paul Sturrock or Steve Wigley? At the rate fans are wanting to sack managers we'll be going back to that era where we went through 6 managers in under 2 years. Can't say that was entirely down to the fans and nor would this be. - Markus Weinzierl - managed Schalke. Maybe a bit left field but what would people think about Steve Holland? Not sure if he's looking for a management role at all but he continued his work as assistant manager at Chelsea whilst working as England U21 Assistant Manager although that role is a little different to management and he may want to focus fully on this England project for as long as it lasts before committing his full time and attention to the possibility of management. If he was interested though, he ticks a lot of boxes. Apart from the box which says : Is he a football manager? Upon reflection and today’s game he probably wouldn’t do any worse. Pierre Emil Hojbjerg. You are a flipping legend. what a goal. redderz has been awesome so far as well love it. All that only to be ruined by JWP. Really don't rate him and this only makes me feel he is less and less a good fit for us. Maybe I'm just over exaggerating though. seems his only use is set pieces but doenst offer anything else really in open play. yeah would like to see him start firing. 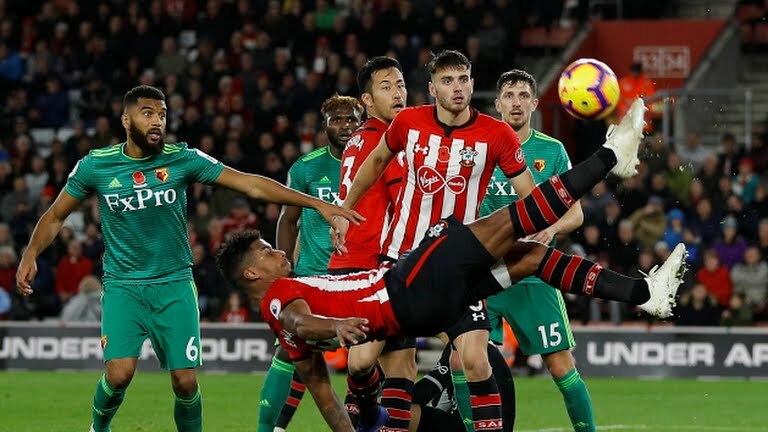 need some goals from wing areas and a few more from lemina would cement how good the guy is. I am well up for this guy coming in but don't everyone get there hopes up. if he does flop than there will be more angry people around. however I do have big hopes for the guy, and hopefully, while he does all his amazing attacking football, he can help us to defend as well. i personally think fulham have a better squad than us, but jokavonic doesn't seem to be able to get mawson, chambers etc, to defend properly. agree with wagner, and about benitez, do we want see good football, but lose, or benitez style, but get results? meanwhile cedric speaking his mind which is awesome. shows the players aren't happy with hughes and the overall performance. Yep I agree would like too see Hoedt Dropped and Vestergaard starting. Ings and Gabbiadini are actually very good goalscorers and as for the midfield. Lemina and Hojbjerg are brilliant and we have good options off the bench with Romeu, Davis etc. Also Hojbjerg would make a great captain. er is Jokavonic going to sort the defence out? Might make them score but. Hmm yeah if only ings had the chances everyone else had. yep agree with gallagher, would like to see him start with ings. don't agree with the jwp thing. yes he's amazing at set pieces but what else? I don't think even he know his favourite position.